This measure consists of the installation of several panels on the ground on which walking is almost impossible because of the panel’s surface profile. 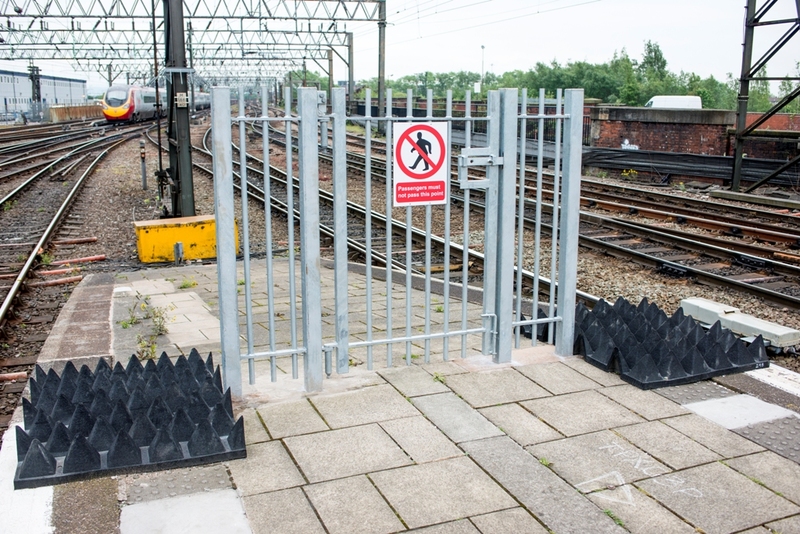 The aim is to create a ground-level physical barrier which restricts pedestrian or animal access at unauthorised places or at least makes it more difficult. 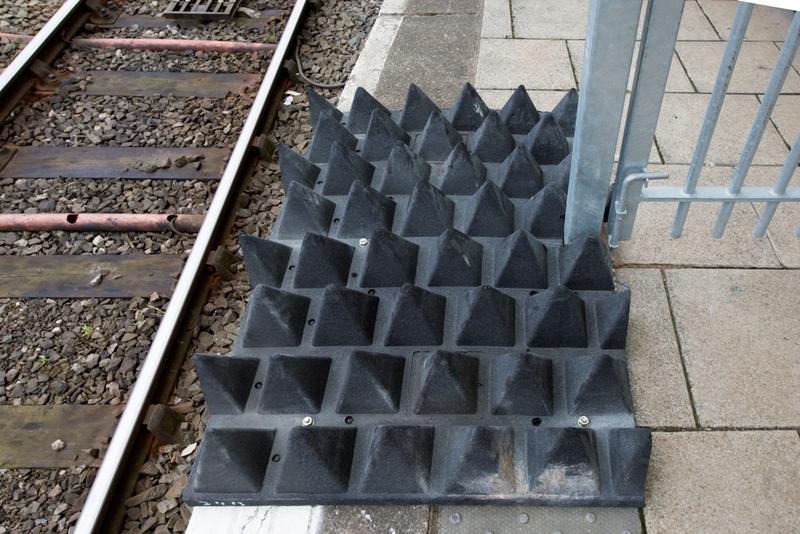 They are also named anti trespass panels (ATP) or “cattle grids”. The panels can have different surface profiles and can be made of different materials such as timber, GRP , or recycled rubber, depending on the manufacturer. The surface can have the following shapes: a repetitive skewed profile (copy of oblique wooden cattle guards historically used on the railway), pyramids of equal sizes (the pyramids which form the panel's surface have equal heights) or pyramids of unequal sizes (the pyramids which form the panel's surface have slightly uneven sizes and heights). The space beside the grid should be guarded by fences for a quite long distance. In some cases 500 meters of fencing were reported. Create with the fences a virtual tunnel close to the track for a suitably long distance. Some IMs reported distances of at least 7 to 9 meters. 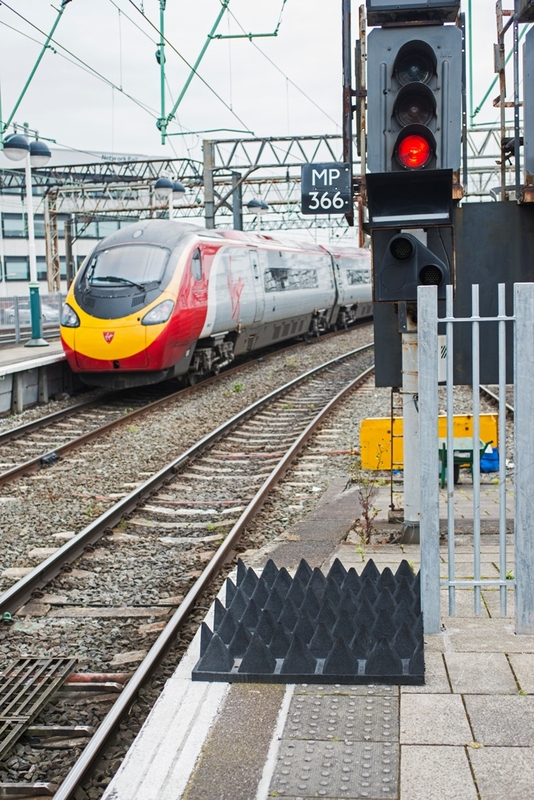 Make sure that in the fences there are escape routes for train passengers in case of emergency (and emergency response access) and entry gates for railway workers and their materials. The perception of the surveillance camera is likely to enforce the effect of the anti-trespass barrier. The recorded images facilitate the assessment of effectiveness allowing to count the number of trespassers and to study what how pedestrians adjust their behaviour. Communicate when installing to avoid pedestrians injuring themselves (e.g. by trying to walk on the panels). Combine with warning or prohibitive signs installed in visible places. These should also be visible during night-time. Coloured or reflective paint can be used to increase panels’ visibility on the ground: GRP panels can be manufactured in any colour according to requirements and rubber panels can be painted. 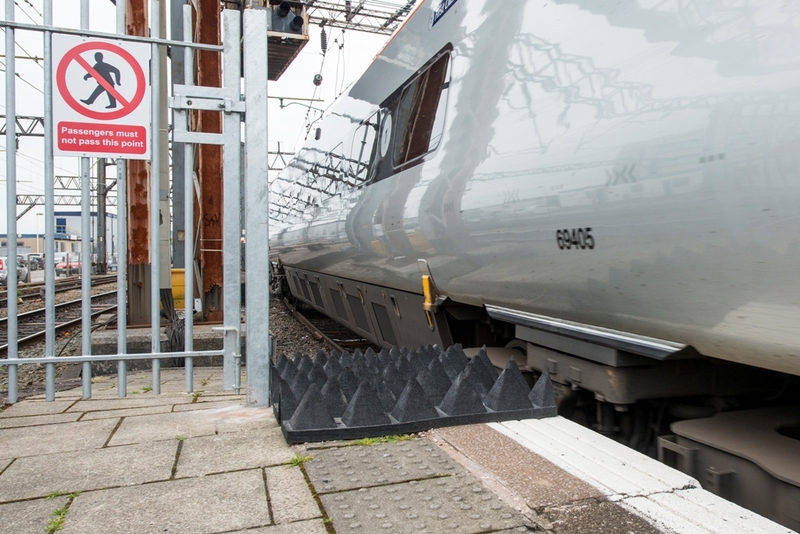 Anti-trespass panels do not completely eliminate the possibility of direct contact between persons and moving trains as would a solid fence. 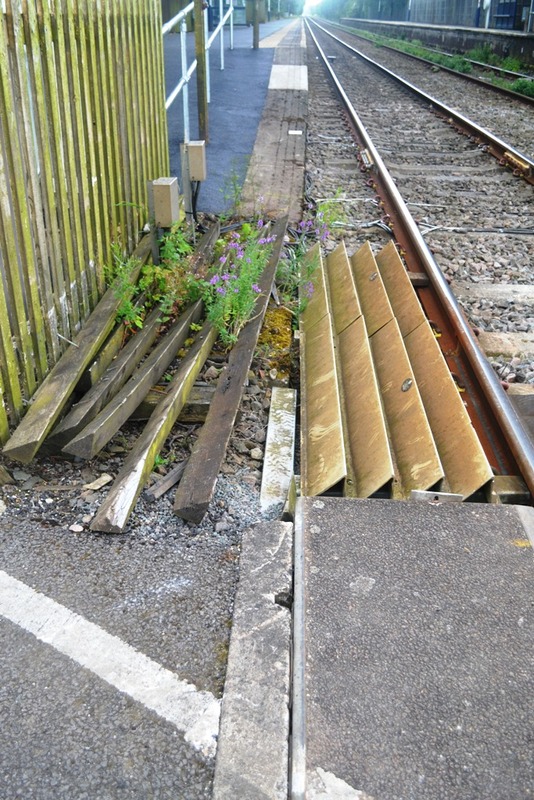 Young trespassers with good moving skills could still walk on the panels and access the tracks illegally. 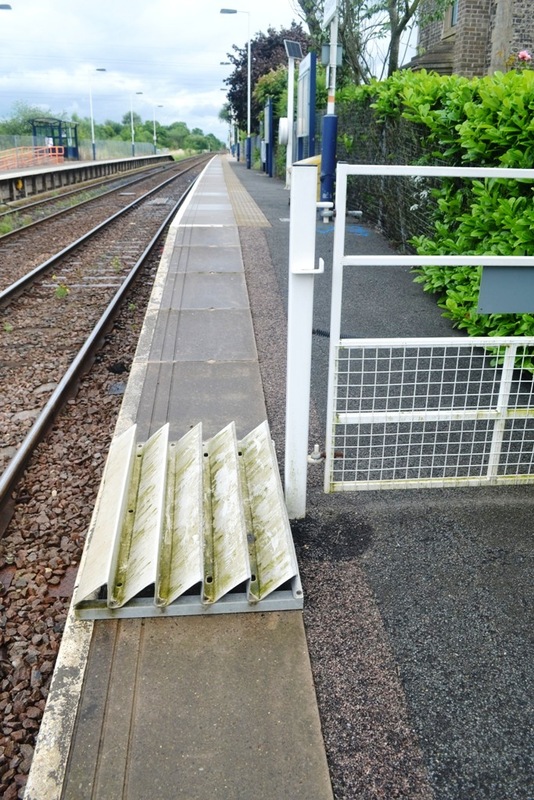 However, these pyramid-shaped panels are very likely to soil the shoes of the pedestrian who walks on them, and this may dissuade young trespassers from crossing on this system. May raise cleaning difficulties especially during winter time when the panels may get covered in snow or ice. With some systems (e.g. timber) vegetation can grow freely. Other systems are likely to gather dirt and grow organic material on the top of the panels, which requires regular inspection and maintenance. 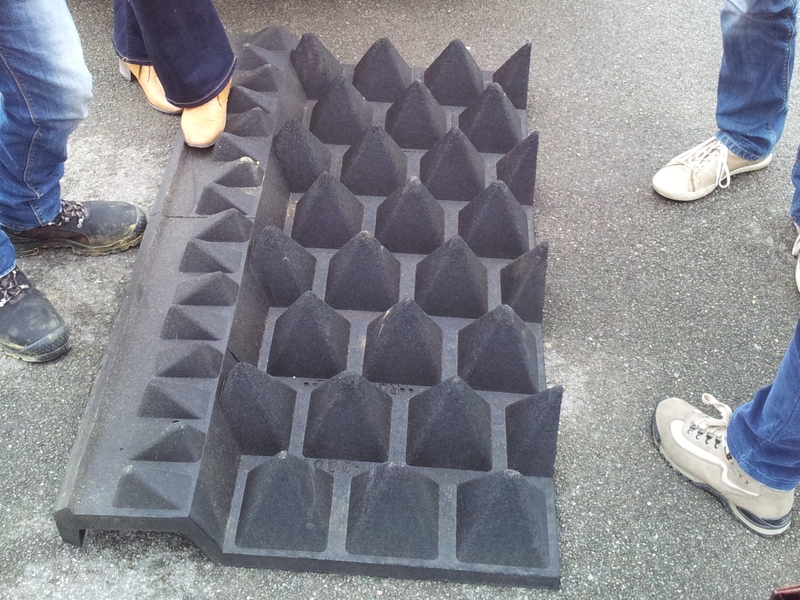 If obstacle detectors are installed near the panels, grown vegetation can trigger false alarms. 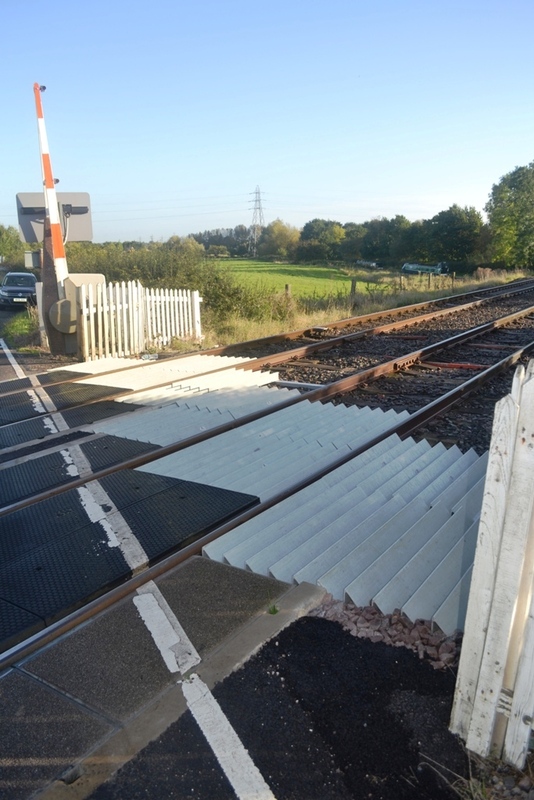 They are usually installed in locations very close to the tracks where fencing is impossible (e.g. at platform ends or at the station’s extremities, next to a LC). 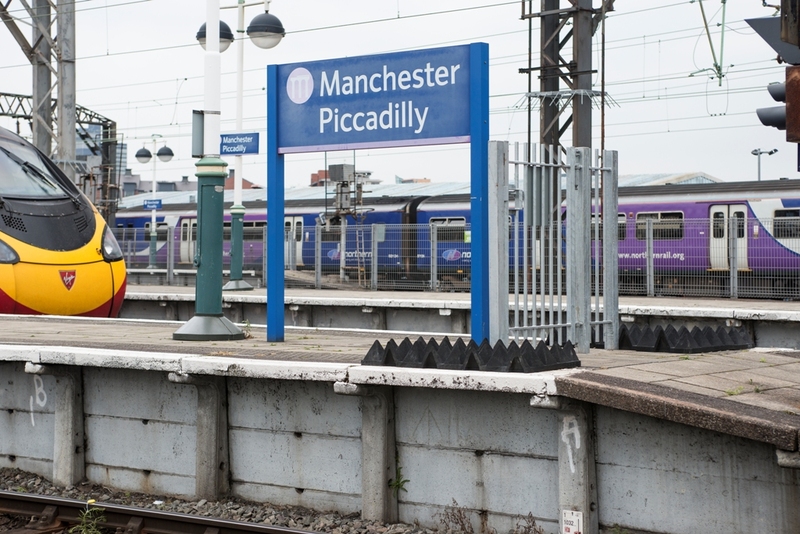 They are also suitable for sensitive hotspots in the vicinity of stations (e.g. to deter access for metal thefts). 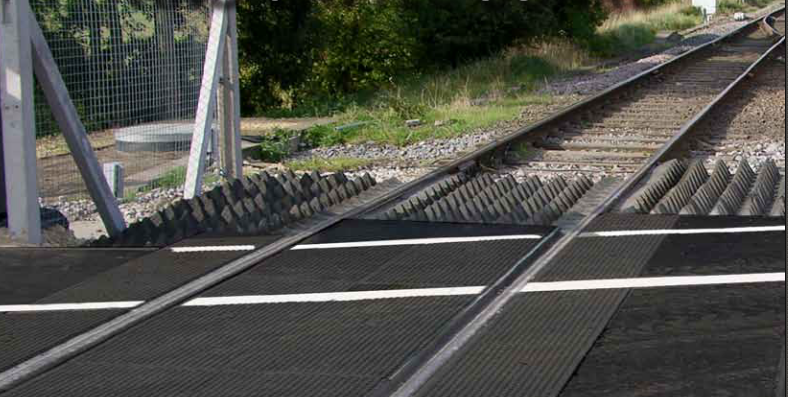 They can be implemented on narrow rail corridors instead of intermediate fencing between tracks. However, this implementation may raise passenger evacuation problems in case of emergency. INFRABEL is testing this type of implementation in a field trial scheduled for 2015. 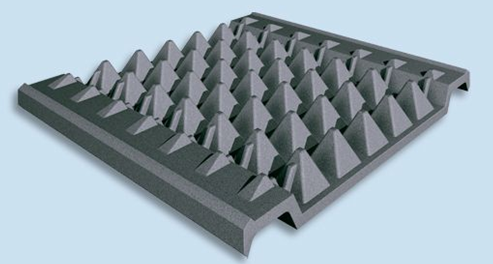 Size and weight of panels: depending on the manufacturer and the material used, the length of one panel can vary between 0.9m-1.3m and the weight can range between 25kg-95kg. Some systems require lifting equipment for installing or handling the panels. 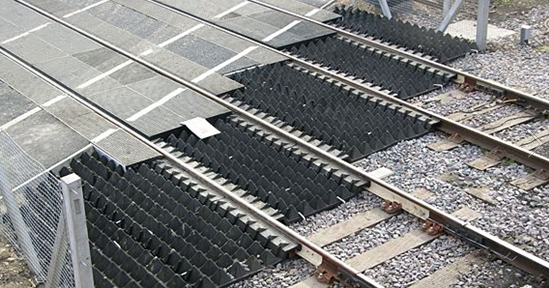 Installation mode: panels support cutting to fit required spaces on the ground, but the way the panels are installed on the tracks varies from one system to another: you may want to check if the panels cover (or not) the rail fastenings, since this can have an impact on track maintenance (e.g. the need for removing the panels during maintenance work). Endurance level: some materials will last more than others, thus the lifetime of the installed system may range between approximately 5 and 25 years. Fireproof level: some materials are more resistant to fire than others, with some systems offering fully fire retardant panels. 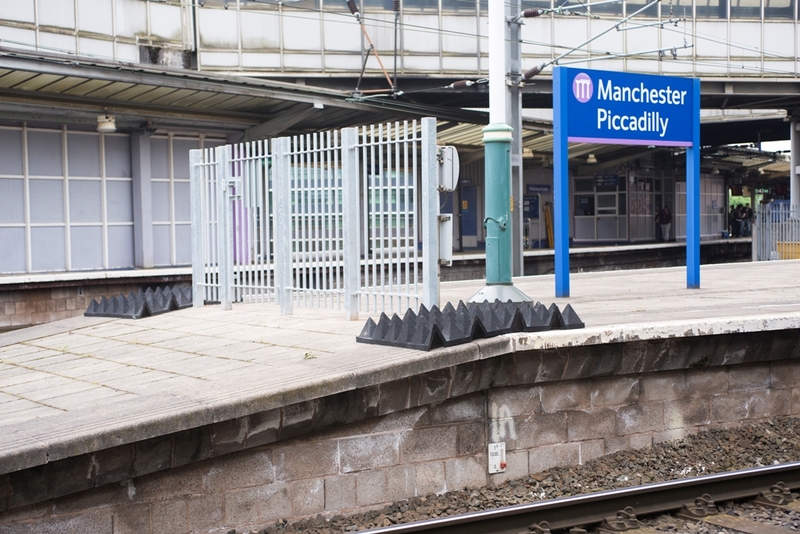 Fire retardant panels can also be used in underground stations, in tunnels and other applications requiring fire retardancy. 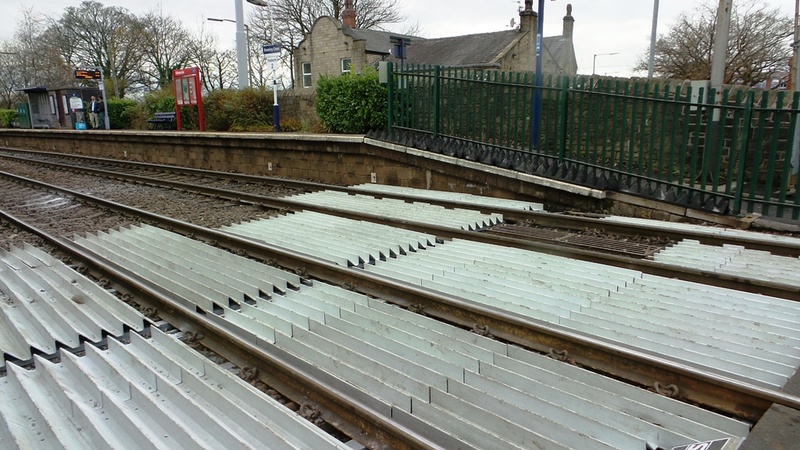 This system was initially implemented and has been mainly used in the UK (by Network Rail). The system was also implemented in the Netherlands (by ProRail), in Portugal (by REFER), in Lithuania, but evaluation results are unknown. 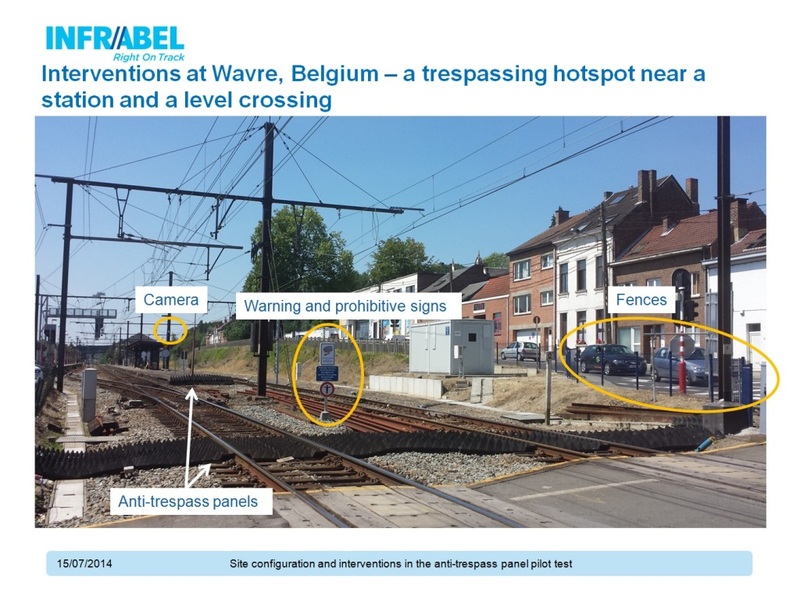 A pilot study conducted in 2014 in Belgium by INFRABEL evaluated the effect of this measure at a trespassing hotspot close to three schools and a level crossing. 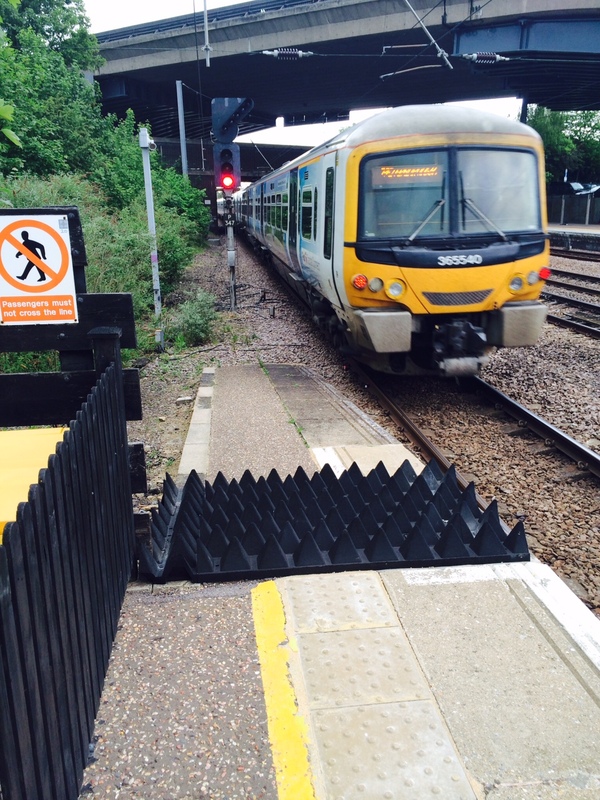 Anti-trespass panels were installed in combination with fences, warning signs and a surveillance camera. 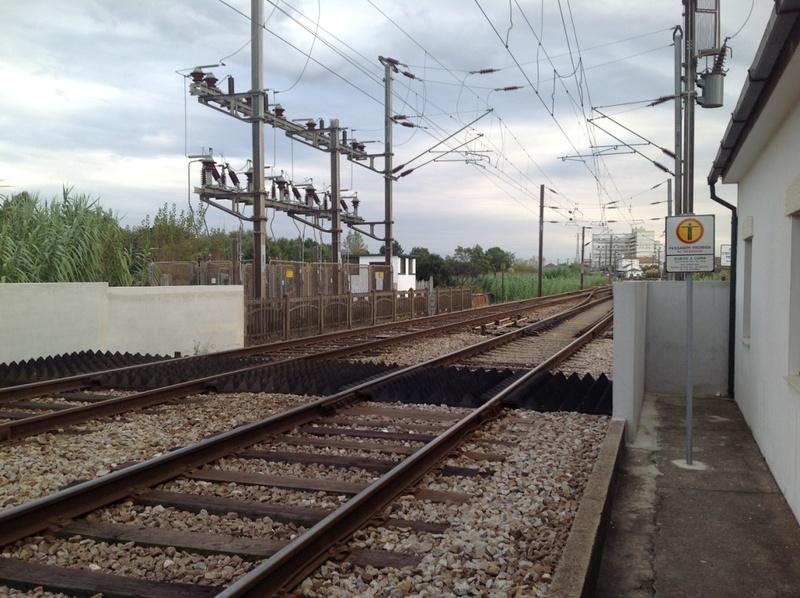 The number of trespassers during the three months after the implementation decreased with 78% compared to the three months before installation. Contact person: Gaëtan Van Overmeiren. 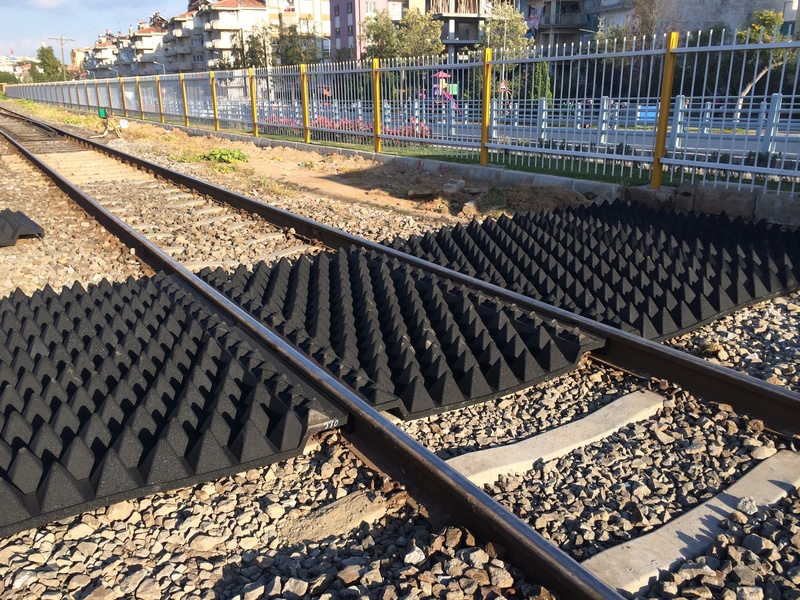 Anti-trespass panels were tested by TCDD at Aydin station in combination with other measures as part of RESTRAIL pilot tests conducted in 2014. An exploratory study by SNCF is also ongoing at several locations in France (results unknown yet).